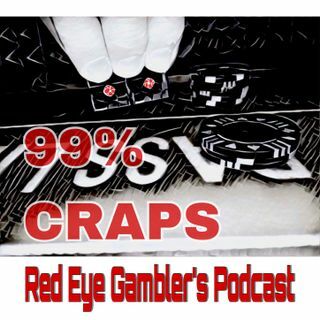 Explicit 99% CRAPS: Episode 11 – Up & Down Trip Reports and the premier of “A Moment in CRAPS History – History of Dice”!! We report on a couple of our recent trips. And mix in a few education segments. The Red Eye Gamblers present "A Moment in CRAPS History". This segment – The history of Dice. And last but not least, we give you a preview of our upcoming Vegas trip.